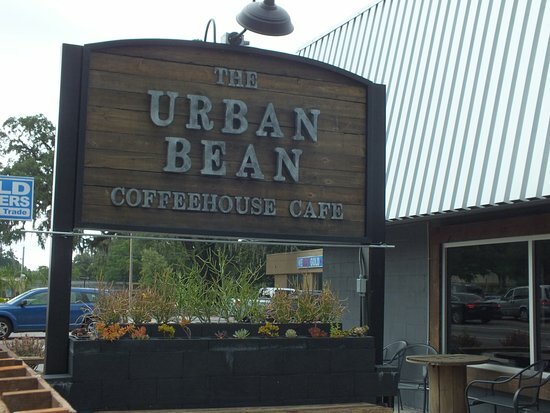 The Urban Bean Coffeehouse is a specialty coffeehouse cafe located in Park Avenue. Their menu highlight is Counter Culture Coffee. Other beverage choices include brewed-to-order tea from Rishi tea and African Red Rooibus Latte. Aside from drinks, they also serve hot and cold sandwiches, specialty salads, omelettes, and their popular waffle boats. The eggs they use are farm-fresh and cage-free and their caramel syrup and spreads are homemade, guaranteed to give diners fresh quality. You can also pick some Stubbees local raw honey while you&apos;re there. The cafe has street parking and car park and has outdoor seating available. You can bring your children in, too! You can check out their website link above, or visit their Facebook page for more info. Metro Diner&apos;s slogan goes, "Where the Locals Eat". I&apos;d say that it&apos;s a fitting slogan as Orange Park locals love the place! They serve breakfast, lunch, and, dinner. 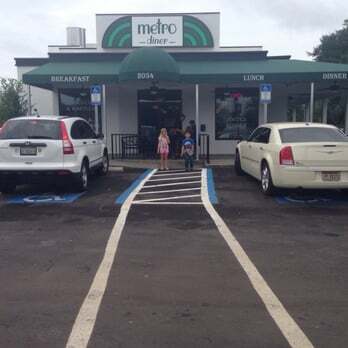 The Metro Diner chain was recently featured in the Food Network’s Diners, Drive-Ins and Dives. You can check out the videos of their featured dishes (Meatloaf Plate, Pittsburgh Steak Salad, and Yo Hala on the Square) by clicking here. Orange Park locals seem to frequent Metro Diner during breakfast, especially for their chicken and waffles. You can find Facebook reviews by checking out this link. If you want to browse their menu, check out their awards, and find more info about Metro Diner, you can also visit their main website provided above. With a six-and-a-half-year (and counting!) serving history and over four hundred Facebook reviews, Brewer&apos;s Pizza truly is a local favorite. They serve both lunch and dinner and is well-known for their handcrafted beer and pizza. Their beers are made by the Pinglehead Brewing Company, known for their "Beer with Attitude" and is sure to pique your interest. Brewer&apos;s Pizza also claims to be "Orange Park/Clay County’s ONLY true brewpub". Diners will also enjoy their specialty pizza, especially their signature pizza, the Florida Smacker. Whether you&apos;re alone or with your partner/family/friends, Brewer&apos;s Pizza will serve you to your satisfaction. Check out their website linked above or take a peek at their Facebook page for more info. If you&apos;re a fan of Greek food, this place is a must visit for you. The Greek Village serves lunch and dinner - AND, recently, have started serving breakfast from 7 am during Fridays, Saturdays, and Sundays. They have an extensive menu and their gyros are popular among locals. You will also want to try out their new breakfast menu and help yourself to generous servings of Belgian Waffles, Steak & Eggs, and Greek Style Omelettes. Do check out their Facebook page to read the locals&apos; A+ reviews of this restaurant! A stop at Kingsley Avenue should include a visit at Vino Java Brew House. This brew house is popular for its in-house setting, fun atmosphere, and good food. What more can you ask for? Locals are even calling this place "Orange Park&apos;s best-kept secret". Their engaging selection of drinks include coffee, wine, and beer - perfect for any mood. If you&apos;re hungry, their menu selection also offers lunch and dinner food. You&apos;ll stay not only for the ambience, food, and drinks - you&apos;ll definitely love the band music, too! Check out their Facebook page and see the reviews for yourself.